Ljubljana the capital of Slovenia, attracts many visitors throughout the year. 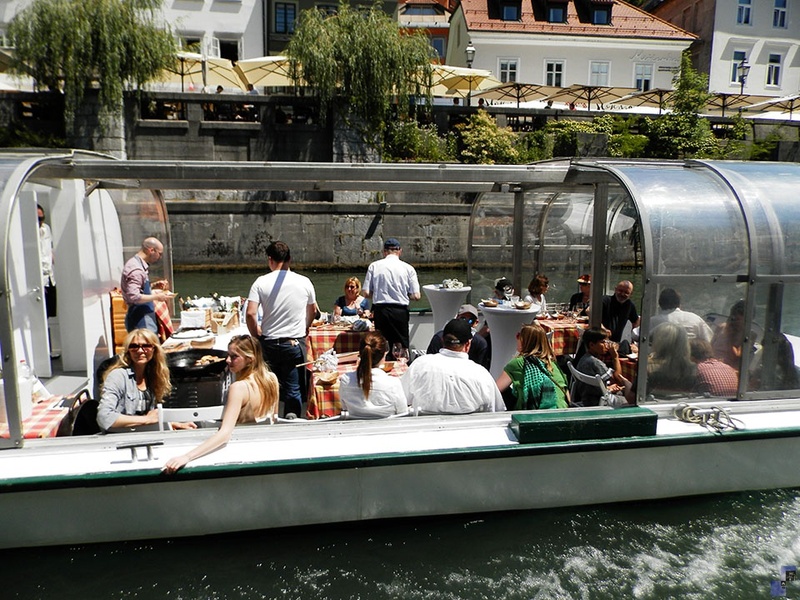 Tourist boat rides offer an opportunity to see Ljubljana and its numerous famous buildings and bridges from a different angle and get out of the city's hustle and bustle while actually staying in the very city centre. In the river Ljubljanica we can find many different fishes and along the river we can see many interesting birds. Price for a guided boat tour for min. 15 people, duration up to 2 hours, with food and winetasting and guidence in slovene, english or russian included is from 29 € per person. Scheduled daily, start time upon agreement from Dvorni trg.